Consider this the perfect romantic getaway for you and your significant other, or perhaps an enchanting vacation destination for a small family. This one bedroom cabin is a cozy retreat from all the hustle and bustle of your day-to-day life. 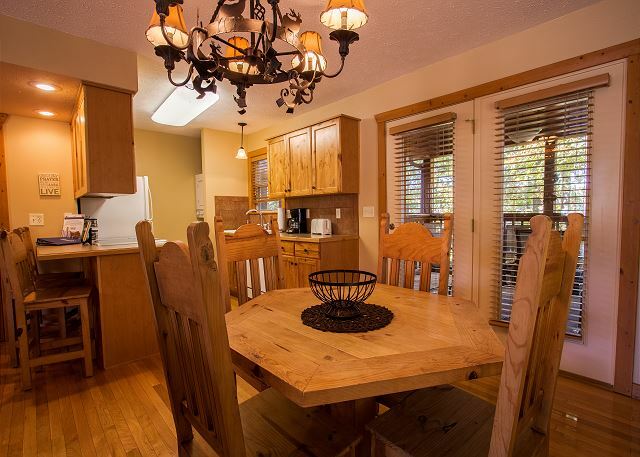 With beautiful wood paneling and decor, hard-wood flooring, and all the comforts of home, what more could you ask for? 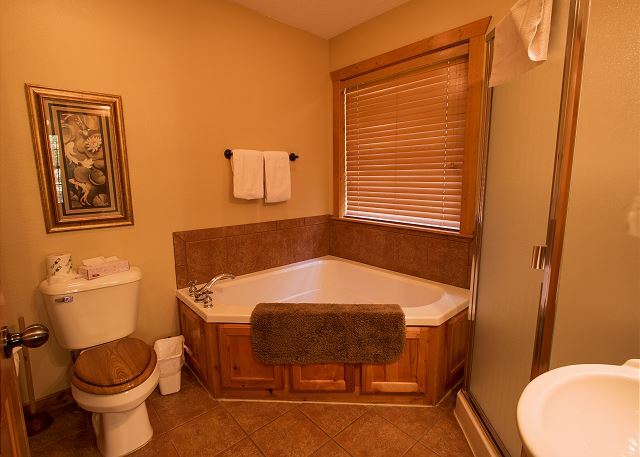 Snuggle up and watch your favorite romantic comedy on the flat screen, or relax and unwind in the gigantic jacuzzi tubs. Any night spent in this adorable abode is a night well spent. When the urge to stretch your legs and explore hits, there are plenty of options outside the cabin's walls. 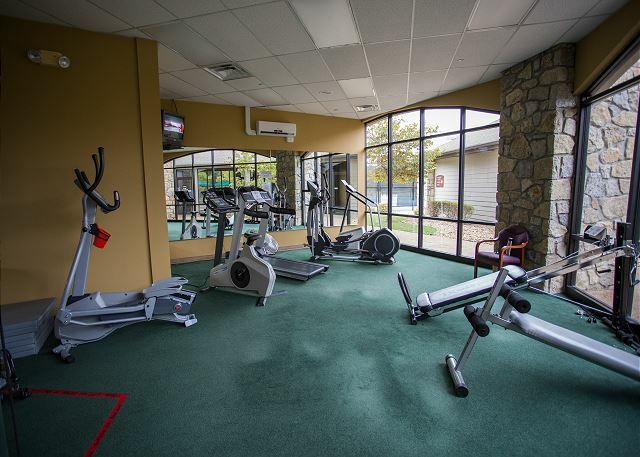 Located in Stonebridge Resort, you are just moments away from many amenities and attractions to make your vacation perfect! 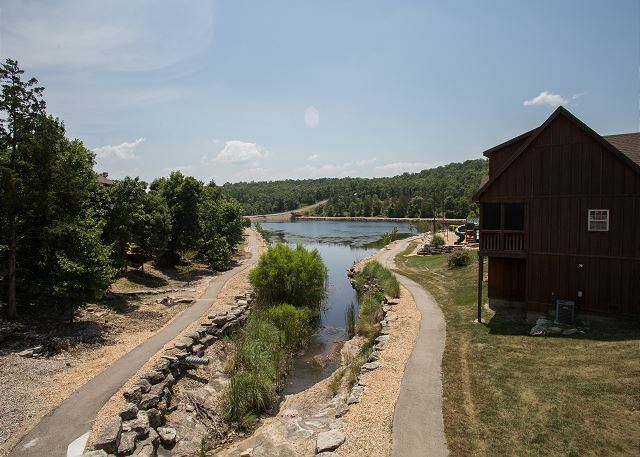 Take a dip in the community pools, take to the green at Ledgestone Golf Course, or take a quick drive to Silver Dollar City: it's only a handful of miles away from your cabin. Nice, small cabin, feels like in the woods. Nice views from most windows. It was clean and has a relaxing vibe. It is a little sparse on kitchen supplies. Only has salt and pepper, so pack everything, like cooking spray. Nice baking dishes, pans were barely adequate and knives very dull. No muffin tin, but dishes, glasses and silverware were fine. It was very clean, especially for being pet friendly! Comfortable bed and bedding. Lovely screened in deck. We would stay there again. Thank you very much for this helpful feedback, Rebekah! We are really happy to hear that you had an enjoyable stay. 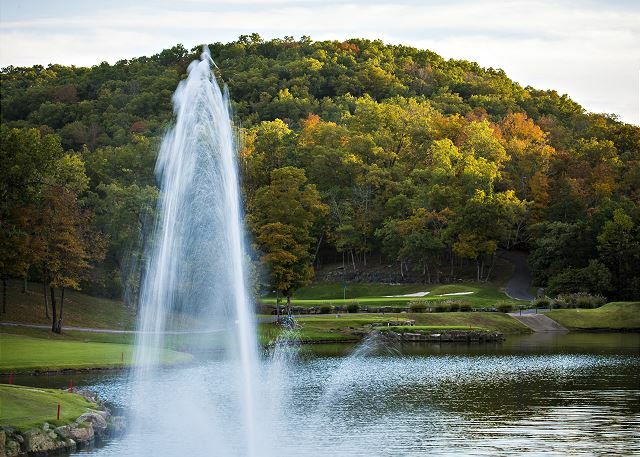 We can't wait to have you stay with us again on your next trip to Branson! After losing my mother, father, grandmother, aunt and then my wife of 38 years, i booked the cabin the day before and basically ran away from KC area for a few days to regroup. The cabin was besutiful and the area was nice and peaceful. Just what I needed. Only one problem was saturday night, came back from SDC and no guard in shack to let me and others that followed in, till a resident showed up. Showed him our reservations and he allowed us in. Very nice weekend and well worth the cost. Thanks for sharing the cabin with me. One thing, need coat rack on main level so you don't have to walk upstairs to hang up your coats. Didn't see any property mgmt persons on the grounds so had to give low score for that question since not able to eval that question. Kevin, thank you so much for this wonderful review. All of us at Sunset would like to express our condolences to you regarding those terrible recent tragedies, and we are so happy to hear that your stay with us was the peaceful escape that you needed. We would love to have you stay with us again very soon. We loved absolutely how homey this cabin was. I especially loved the Christmas tree and how festive it felt. This was one of the few cabins I found that I was able to have my 2 baby chihuahuas with me! We came here on buisness, but would love to return for a vacation and stay again! Thank you for opening your home to us! We most definently enjoyed our time and wish we were there longer. We are so glad to hear that you had such a wonderful stay, Preston! We certainly can't wait to have you stay with us again. Whether it's for business or vacation, you're always welcome! We were so pleasantly surprised by our cabin. We had not done this before but your cabin was great and it is the only accommodations we will look for in the future. 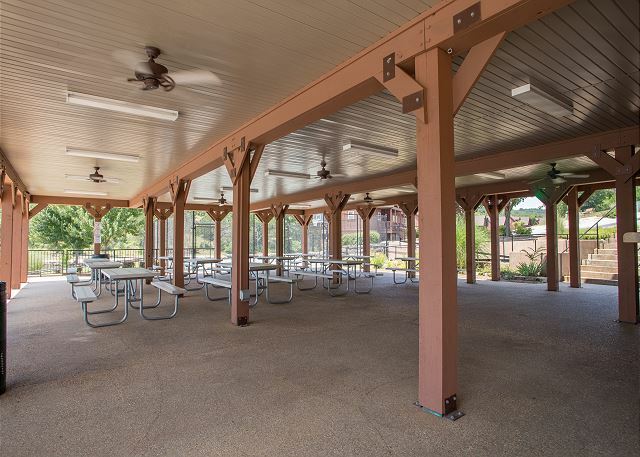 We love hearing that we could accommodate everything you needed. You are our priority, so that is what we strive for! Thank you so much for the very kind review, and we can't wait to have you stay with us again on your next Branson vacation! Couldn't have asked for a better place to stay. Beautiful location! Not far from the attractions, but far enough away to get the cabin feel. Will stay here again soon! Thank you for the awesome review Candice! Be sure to mention when you book your next trip that you are a repeat guest. We had a great time and loved the cabin. It was the perfect getaway for a family of four and our dog Gracie! we had every thing we needed to be comfortable , the only problem I had was the shower head sprayed water on to bathroom floor ! 5 stars all the way around! 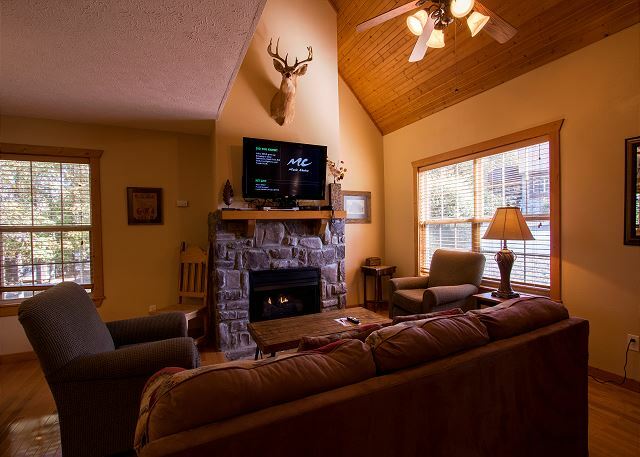 This was our second time staying in this cabin and we enjoyed it as well and better this. We will definitely be back next spring! unfamiliar with layout of property. Would have preferred rental closer to golf/club house. Main complaint was configuration of main bath. The shower was almost unusable. Main reason for rental "pet friendly"
Hello, Rebecca! Thank you for your review. 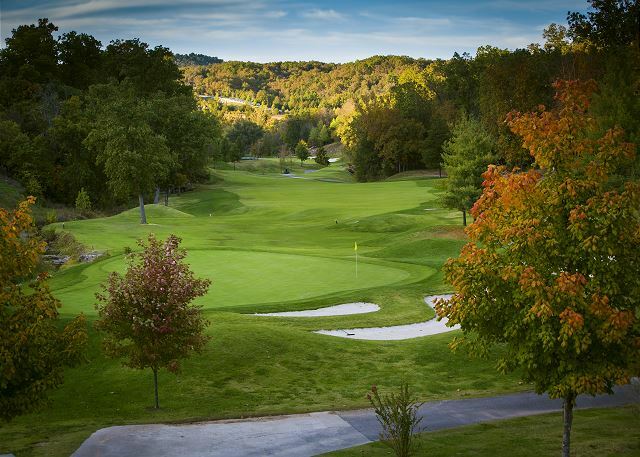 We apologize for any miscommunication in regards to the location of the lodge, and we will happily work to put you into a property closer to the clubhouse during your next stay. When you're ready for your next Branson vacation, make sure to mention your previous stay with us for a returning guest discount! Thanks for everything! Sleepy hollow cabinwas perfect for our family. We loved everything about it! Hi, Daniel! 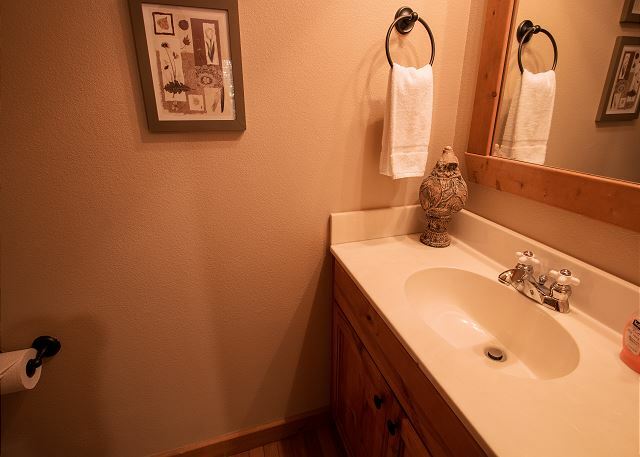 We're so glad to hear that you loved your stay at Sleepy Hollow Cabin. 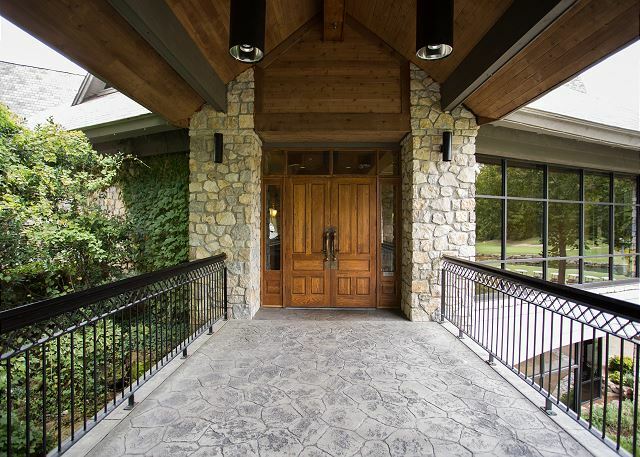 Don't hesitate to reach out when you're ready for your next Branson vacation, we even have a special returning guest discount waiting for you! Hi, William. 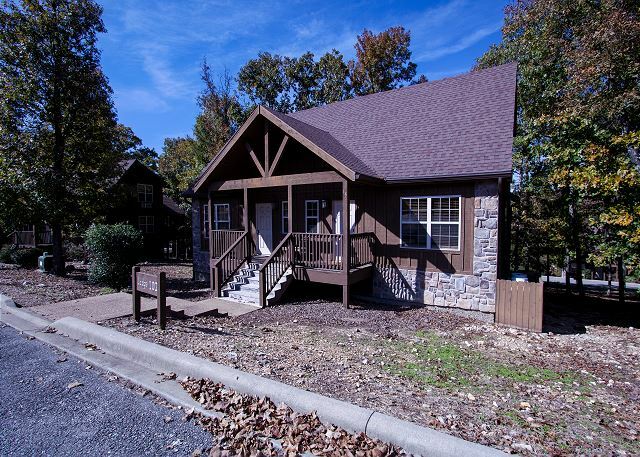 Sounds like you and your group had a great time at Sleepy Hollow Cabin! We're so glad to see that, and we hope that we can see you again soon. 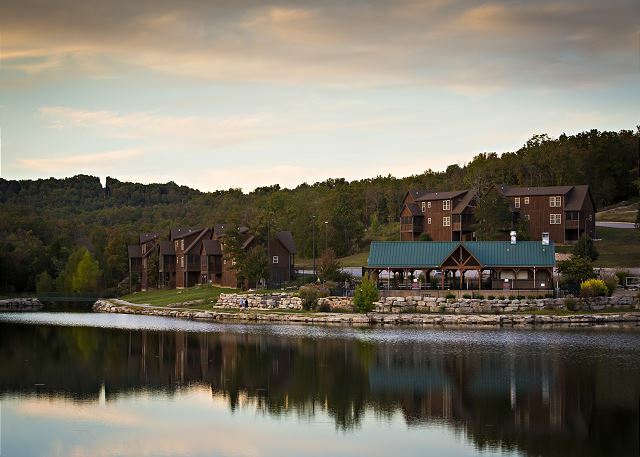 Don't forget to mention your previous stay with us for a special returning guest discount on your next Branson vacation! WE had a very lovely time. The cabin was extremely beautiful and the area was very, very peaceful. I would recommend it to anyone that wants to really enjoy the beauties of Branson, without all the noise and traffic congestion. Thanks so much for a lovely time. John & Carolyn Kerr. Hi, Carolyn! 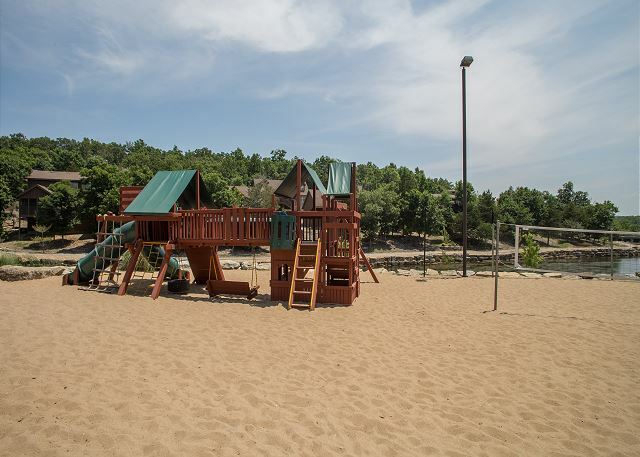 Thank YOU for staying with us during your Ozarks vacation. We're so glad you enjoyed your stay and we hope to hear back from you in the future. 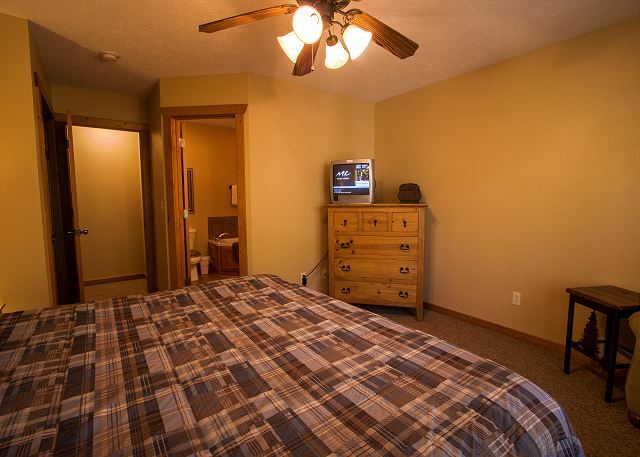 Make sure to mention your previous stay when you come back so we can give you a returning guest discount! It was a great rental. The only problem was it is not a cabin. It is a duplex and attached to another unit. We would not have rented it if we had known that. We always prefer cabins over duplexes. The resort was beautiful and we would definitely go back. However we will not be renting a duplex again. Please don't market something as a cabin when it is clearly attached to another unit. Hi, Michael. Thank you very much for your feedback. We will be looking into a way to better show this information on our website so everyone can have the vacation they're truly looking for in Branson. We hope that you'll come visit us again, and we'll happily offer you a returning guest discount for your next stay! 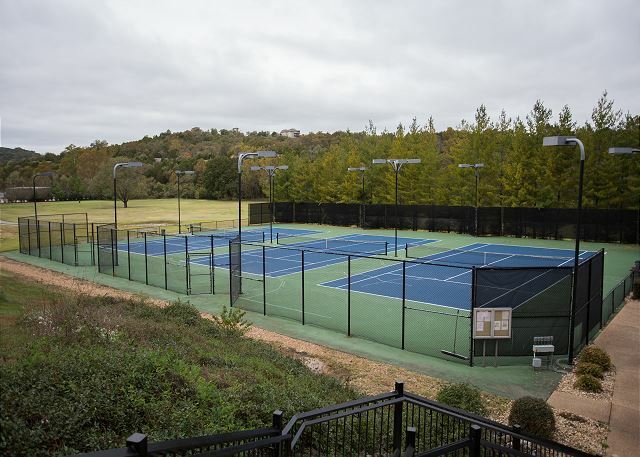 Don't be afraid to call or email us, we can make sure that we find the perfect rental for you and your group. So much better than a hotel!! Loved our weekend getaway. Cabin was more than we expected. Everything was provided, cabin was clean, area was quiet. Flip of a switch and the fireplace sprang to life. You can imagine yourself living there. Our stay was wonderful - private and pet friendly, which was wonderful! It is always such an easy experience to rent from Sunset. The place was clean and very welcoming. A Perfect Place To Call Home for Three Days! 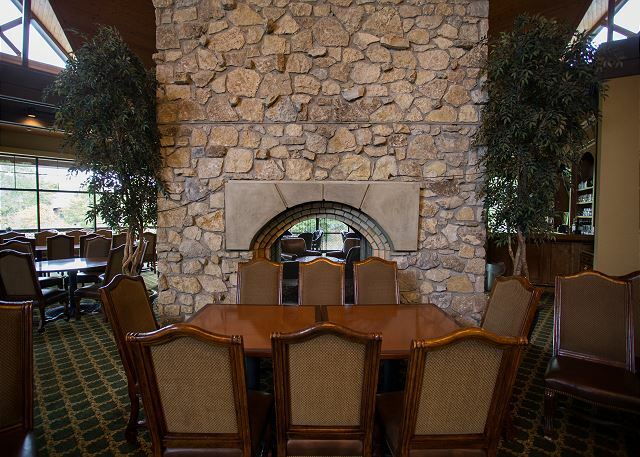 What a relaxing place to return to after a busy day or evening in downtown Branson. The property was exactly as described and well represented by photos. It is located in a lovely resort area and the dining facility was very nice for a healthy breakfast before starting out each day. Everything in the cabin was very clean and comfortable and the mattress in the bedroom was so comfortable. The owner was extremely easy to work with and provided excellent directions. 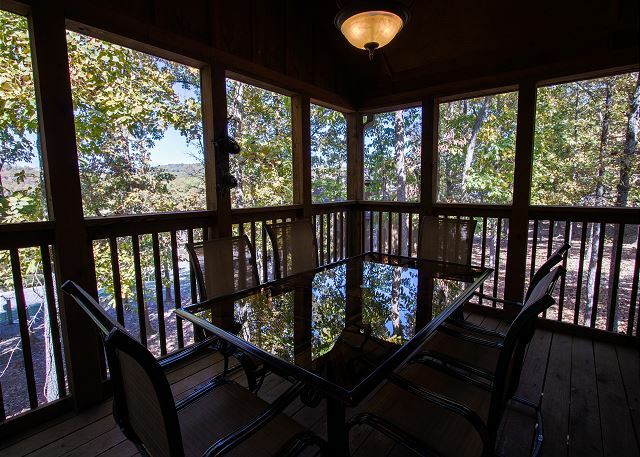 We would like to return when the weather is a little warmer to enjoy the wonderful screened porch on the cabin, and the tennis courts and swimming pools at the resort. Very nice accommodation...loved it! Basic, clean and nice unit. The check in process was a breeze! Very simple and without worry. 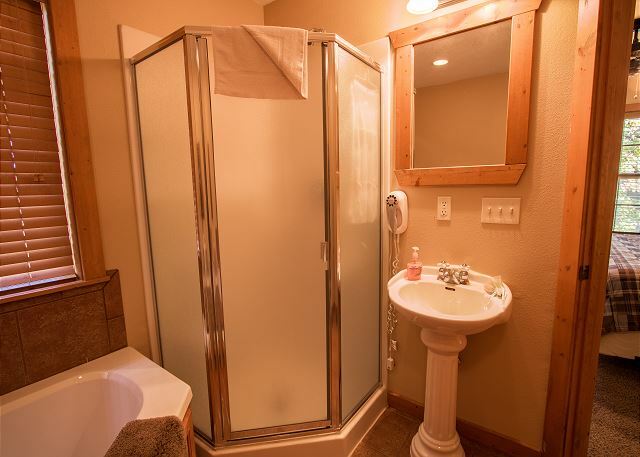 The cabin was more a duplex than a cabin and it shared a wall with another unit. It was more a condo than a cabin. Unit was very clean except the dishes were a little dirty but just had to wash them before using. The only complaint was that the sheets were like burlap and the fitted sheet did not stay on. When you are paying $150.00 per night you would expect better sheet than these or charge less like in the $40 range. I would expect sheets like this at Motel 6 not at a property as nice as this. Otherwise it was a quiet location and easy to get too! We will be back! Looking forward to seeing how quiet it is in the summer when it is busier. Christmas time was very nice. Thank you for your review, the owner has purchased new sheets for the unit. Hope you can stay again in the future!